Is it a co-op grocery or a cannabis dispensary? Sebastopol's Solful is a bit of both. 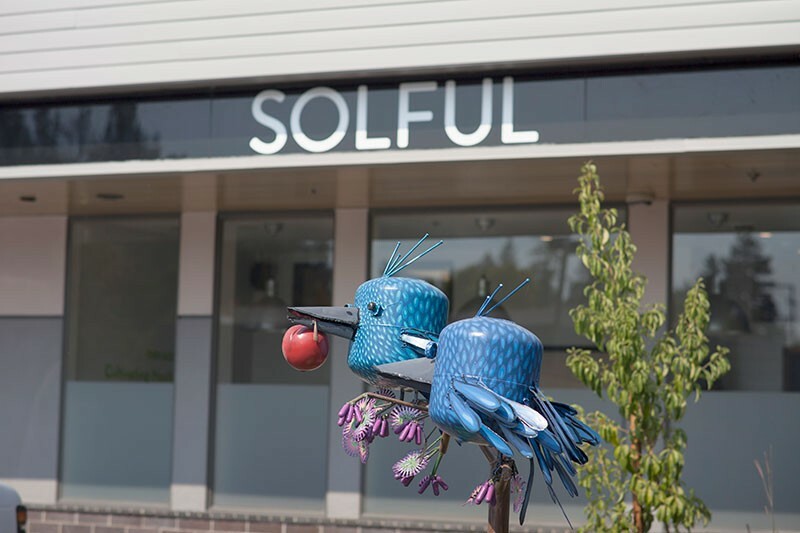 Solful is the city's second dispensary, and it represents two trends emerging in the cannabis industry: the boutiquification of the cannabis shopping experience and brand-name farms that focus on sustainable agriculture. "We really wanted a place that felt normal," says co-founder and CEO Eli Melrod. By normal, he means "non-intimidating," and wholesome even, like going to your local independent grocery store. Melrod says he opened the business because he wanted a place he could recommend to his friends and family. He says his father suffers from pancreatic cancer and has benefited from the use of cannabis. "I've been a huge believer in the medical benefits," he says. The dispensary is done up in wood and earth tones that make it look like a Hayes Street clothes boutique rather than the heavily fortified pot shops of old. There are T-shirts, tote bags and baseball hats for sale, along with a variety of cannabis products. What, no wheatgrass bar? As for the cannabis, Melrod says he visited more than 50 farms in Sonoma, Mendocino and Humboldt counties to find growers that met his standards. "We handpicked farmers that were doing things that were kind of special," he says, calling it "muddy-shoe sourcing." That includes farmers like biodynamic cannabis pioneer Mike Benziger of Glen Ellen's Glentucky Family Farm, and Alpenglow Farms' Craig Johnson, a Humboldt County cannabis producer with a focus on regenerative agriculture. Flower testing is done at Hayward's ISO-accredited Harrens Lab. "In the same way that you'd rather buy a locally grown, organic tomato from a farmers market than one shipped in from hundreds of miles away, we're giving our community access to a highly curated selection of amazing, locally produced products that they would unlikely find on their own," says Melrod. Solful has been in development since 2015. Sebastopol's planning commission and city council approved of the business with unanimous votes earlier this year. The business holds a grand opening Nov. 5 from 11am to 5pm. Benziger and Johnson will be on hand, as well as Sebastopol artist Patrick Amiot, who created one of his signature works of junk-art for the store. Ten percent of all proceeds from the event will go to the Redwood Credit Union's fire victim relief fund. Solful is at 785 Gravenstein Hwy. S. Go to solful.com for more information.